While it has already appointed two consultants to decide upon the nitty-gritties of the plan, including the various bikes or scooters which can be made at the proposed unit, the various sops offered to it will also play a crucial role in the final decision-making process. The states under consideration are Tamil Nadu, Andhra Pradesh, Telangana, Gujarat, Maharashtra and Uttar Pradesh (Noida). “We are talking to various states for land parcels and availability. However, it has taken a temporary halt as elections are near,” said Vikas Jhabakh, managing director of Adishwar Auto Ride India. After its first stint of India operations with DSP Group ended in 2017, Benelli India, after a year-long hiatus, made a comeback by roping in Adishwar Auto Ride India, part of Mahavir Group, as its distribution partner in India. Jhabakh said a distribution agreement was more viable to Benelli as it could make a faster comeback as commencement of operations after setting up a plant would have taken longer. Finalisation of the proposed plant will revise Benelli's distributorship agreement with Adishwar Auto and the later may become the Italian brand's partner in India. The plant will also see investment from Benelli's global entity. Currently, Adishwar Auto assembles the superbikes in its facility in Hyderabad with a capacity to produce 10,000 units. Jhabakh said the company requires 50 acres of land for the plant and a localised manufacturing facility would provide Benelli greater control over procurement and parts. Moreover, the bikes, which are currently imported and then assembled in India, can also be tailored to meet Indian conditions. Benelli also plans to set up a research and development facility in the country. It will also export India-made 200 cc bikes from its plant to South East Asia and Africa, and bikes above 250 cc to Australia and Europe. Although the company is keen on Indian manufacturing, bikes with higher engine capacity will continue to be imported. Asked about the sops Benelli is expecting, Jhabakh said, "It really depends on the location and access to port facilities. If we are closer to the port and can ship our products, then different sops are needed while if we select a hinterland, then the sops requirement will be different." Besides, the company is also bringing in two 250 cc models in the country and another 400 cc commuter cruiser — christened Imperiale — will be introduced by the end of this year. While Benelli is keen to have 10-12 models for its Indian operations, Jhabakh expects lower engine capacity bikes to drive its sales in the coming days. 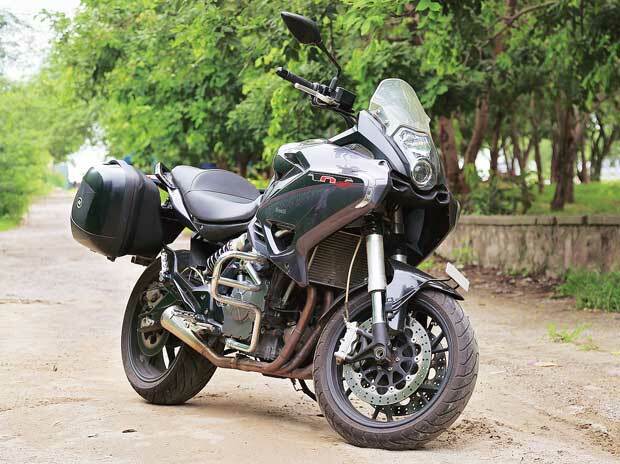 With 5,800 Benelli bikes already sold in the country since its inception, Jhabakh has a target to sell 1,500-2,000 units in 2019, with a selling price of Rs 4.5 lakh on an average, while in 2020, the target is to sell more than 3,500 units at an average price of Rs 3-3.5 lakh. Based on the success of the Imperiale, Benelli has targeted to increase its outlets count in the country to 100 by 2020, from the current 40.